Roam In Pizza is committed to bringing you the best-tasting wood fire pizza, so we need the best firewood for the natural wood fire flavour. Ironbark is an Australian Native tree grown in NSW and QLD and is known to be very hard and compact, making it perfect for burning. 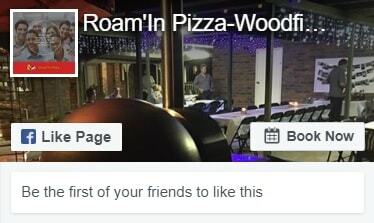 Roam In Pizza firewood is solely sourced and harvested from a private property situated in the Western Downs region of Queensland. The site was registered as a Native Forest Practice by the Queensland Government’s Department of Natural Resources and Water on the 4th of August 2009. The firewood supplier operates in compliance with the “Code Applying to a Native Forest Practice on Freehold Land” so we can be confident that the loss of biodiversity is prevented, ecological processes are maintained, the forest structure and species are also maintained, along with the preservation of wildlife habitats. Roam In Pizza’s firewood supplier was recently accepted as a certified full member of the Firewood Association of Australia which is actively supported by the Australian government. The supplier was successful in demonstrating compliance with all regulatory conditions set out within the “Voluntary Code of Conduct for Firewood Suppliers”, (licence No. QO54). Compliance is not limited to but includes the supply of firewood with a moisture content less than 25% and compliance to trade measurement legislation. 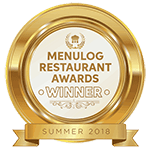 Again, we can be assured that we only use well-seasoned firewood that has not been illegally harvested, maintains environmental benefits and has not been subjected to any form of chemical treatment or contamination. Going Green… Did you know? 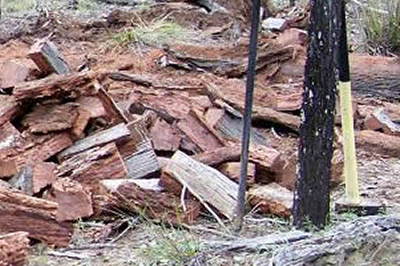 A 2003 CSIRO study for the Australian Greenhouse Office showed that firewood produces the least amount of carbon dioxide of all heating energy sources. The report states that sustainable firewood production systems have the potential to reduce carbon dioxide emissions. This is because, in sustainably managed forests, growing trees absorb the same amount of carbon dioxide that is released when firewood is burnt. There are some other gas emissions associated with burning firewood and with its transport but is practically a carbon neutral system.